My interest in St Valéry was started by my Mother telling me about the men from her village of Cluny, Aberdeenshire, Territorials in the Gordon Highlanders, who went off to fight in France in 1939 and were left behind in France in 1940 when the rest of the BEF were evacuated from Dunkirk. They included Donald Macleod, Sandy Ross and Peter Ferris. These were the heroes of St Valéry. The Regimental History of The Cameron Highlanders records that "2nd Lieutenant Johnston had been severely wounded in both legs in open ground between two woods, overlooked by German machine-guns and snipers. He had to be left there till night-time, then a safe extraction could be made." He was then 19 years old. He was carried to St. Valéry,and told his son, once, that he vaguely remembers being on a boat taking him "home" and the the two boats, the one in front, and the one at the back, in the convoy, were blown up. After coming out of hospital, he went to join the reformed 51st in North Africa. He was wounded twice in 6 days at Alamein, the second time had him in hospital in Roehampton for 7 months. He ended the war training Nigerians in the West African Frontier Force, going to Burma with them in early 1944. I am grateful to Rory Johnston for his permission to include details of his father's experience at Saint-Valéry-en-Caux. The following are articles from the press referring to the action of 51st (Highland Division) and its gallant soldiers. FIELD MARSHAL SIR JAMES CASSELS, who has died aged 89, was Chief of the General Staff from 1965 to 1968. "In France with the BEF, Cassels served with 157 Brigade and was then brigade major to Brigadier Sir John Laurie on the withdrawal to St Valéry en Caux in 1940. His regiment fought extremely well in the long retreat, often opposing German tanks with small-arms fire, and resisted capitulation at St Valéry until French troops carrying white flags marched across their front, masking their guns. Soon after the Normandy landings, in June 1944, Cassels took over command of 152 Infantry Brigade (51st Highland Division) on the beachhead east of the river Orne. 51st Highland Division was a reconstituted unit, bearing the name of its predecessor which had been taken prisoner at St Valéry four years earlier. But it had taken heavy punishment from North Africa onwards (including the Battle of Alamein), and morale had not been helped when Montgomery had replaced its commander, Gen Wimberley, blaming him for the fact that the division was no longer "battle-worthy", as he described it. This treatment of a greatly respected commander - to whom the division was devoted - had caused a major crisis in confidence. Although this was not an unusual example of Montgomery's style, it caused widespread concern that the Army could not make faster progress against enemy forces which had been bled white in earlier battles and was continuing to be driven back in Russia. The arrival of Cassels as Commander of 152 Infantry Brigade had a heartening effect, and he led the unit with distinction through the capture of Le Havre, the winter operations in Holland, the Ardennes battles and the final advance into Germany. In 1945 he was appointed GOC 51st Highland Division, which was then occupying the Bremen district. By the end of the war Cassels had been mentioned in despatches twice and, in 1944, awarded a DSO. LIEUTENANT-COLONEL JOHN CHILLINGWORTH, who has died aged 100, was awarded a DSO and also mentioned in despatches in the fighting retreat of the 51st Highland Division to St Valéry in May 1940. "At the beginning of the German attack on May 10, the 51st had been deployed along the river Saar, but when the Germans drove deeply into northern France the 51st were ordered to make their way to Le Havre. There they were to link up with 1st Armoured Division (of mere brigade strength), and, under French command, recapture the bridgeheads on the Somme. This ambitious task was not made easier by conflicting orders from the War Office and the French High Command, but the 51st put up a stiff fight until finally reaching St Valéry, from which fog and other factors made their evacuation impossible. They surrendered reluctantly under French orders, after the French had already done so." PIERRE BOUDET, who has died aged 85, was the French agent de liaison attached to the 1st Battalion the Gordon Highlanders in France with the British Expeditionary Force in September 1939. "Boudet became a trusted member of the battalion, of which he was immensely proud, although at first he was wore the uniform of the 4th Zouaves. As he had worked in London, with Crosse & Blackwell, before the war, his English was good, although he had to get used to the broadest Aberdeenshire dialect. His ready smile made him very popular. If his cherubic appearance was unsoldierlike, he took a full part in the fighting as the 51st Division, including the Gordons, delayed the German advance. Finally Boudet was wounded and taken prisoner with the rest of the Division at St Valéry. He was strongly recommended by his commanding officer for a British gallantry medal, but none was gazetted. In Rouen hospital, he was a great help to other casualties, but he soon escaped, and made his way to Casablanca where he arranged for Red Cross parcels to be sent to captured Gordons officers. After the war he resumed his business life. He often attended Gordons reunions, with his wife Harriet, and was the only foreign soldier to be a member of the Highland Brigade Club." "By 1939 he was Adjutant of the 4th Battalion. As a part of 51st Highland Division, the battalion, after fighting a succession of defensive battles, was eventually taken prisoner at St Valéry in June 1940. Macrae spent the rest of the war as a PoW in various camps in Germany, from which he was eventually released by American troops commanded by General Patton. He was mentioned in despatches in 1945 and returned to London on VE Day." In a life which included its fair share of adventures - some of which seemed to come straight out of the pages of fiction - nothing gave greater pleasure to Lieutenant-General Sir Derek Lang than the second day of September, 1944, when he led the 5th Queen's Own Cameron Highlanders in the liberation of the French town of St Valery-en-Caux. This was the spearhead battalion of the 51st Highland Division which had been specially chosen for the task by Field Marshal Montgomery, and there was more than military logic in his choice of formation. Revenge, too, played its part. Just over four years earlier, on June 12, 1940, the same division had been sacrificed by Prime Minister Winston Churchill when it was forced to surrender to General Erwin Rommel's 7th Panzer Division at the small French channel port. Instead of escaping at Dunkirk with the rest of the British Expeditionary Force, in a needless act of allied solidarity the 51st Highland Division covered the French retreat and fought to the last round. More than 10,000 Scottish soldiers went into enemy captivity; most of them came from their regiments' traditional recruiting grounds in the Highlands. A handful managed to escape, most notably Lang, who was serving as adjutant to the 4th Camerons, a Territorial Army battalion commanded by Lieutenant-Colonel the Earl of Cawdor. Seeing two boats lying offshore Lang attempted to reach them to use their radios to summon help from the Royal Navy but was injured in the attempt - which in any case proved fruitless as the vessels were quickly destroyed by German artillery fire. Taken into captivity he managed to escape from imprisonment at Tournai and began a remarkable series of adventures which he later described in his book Return to St Valery: An Escape through Wartime France (1974). In an outstanding feat of endurance and sheer bloody mindedness, Lang made his way into Vichy France and by dint of being sheltered by friendly French families he eventually reached Marseilles. On November 16 he managed to slip on to a French ship bound for Beirut and from there was able to cross the border into British-controlled Palestine. At the beginning of January he was back with the colours, serving in the 2nd Camerons which was based in Egypt as part of the 4th Indian Division. For his exploits Lang was awarded the Military Cross but his war was far from over. That same month the division was sent to Eritrea to expel the Italian forces and Lang saw action with them at the Battle of Keren. The German reinforcement of the Italian army in North Africa took the division back to Egypt in April and although Lang took part in the fighting at the Halfaya Pass he was spared a second surrender by being posted to Staff College. In June 1942 the 2nd Camerons were part of the allied force surrounded at Tobruk and were forced to surrender. Following a series of staff postings in the Middle East Lang returned to England in 1943 to be chief instructor at the Battle Training Wing of the School of Infantry at Warminster and was given command of the 4th Camerons in July 1944. After the liberation of St Valery-en-Caux he was in action again, successfully holding off a German counter-attack at the Nederwert and Zig canals during the advance to the River Maas. For his war service he was awarded the Distinguished Service Order. Derek Boileau Lang was educated at Wellington College and the Royal Military College Sandhurst and was commissioned into the Queen's Own Cameron Highlanders in 1933. The son of a soldier, he was probably destined to join the Army, but he quickly emerged as a promising and efficient regimental officer, seeing active service in Palestine with the 2nd battalion during the Arab Revolt of 1936-1939. Throughout his life he was extremely proud of the fact that he was a Cameron, a tight-knit family regiment, and was saddened by its amalgamation with the Seaforth Highlanders to form the Queen's Own Highlanders in 1961. In the post-war years Lang served variously at the Staff College Camberley and as an instructor at the School of Infantry, where he reinforced his reputation as a thinking man's soldier and a well-respected mentor. In 1958 he was back in Scotland to command 153rd Brigade and was given command of the 51st Highland Division two years later. His career was crowned in 1966 when he was promoted to Lieutenant-General at Scottish Command, a post which brought with it the governorship of Edinburgh Castle. Lang retired from the Army in 1969 but that did not mean a retreat from public life. Far from it: he was a vigorous secretary of the fledgling University of Stirling, he was appointed a Deputy Lieutenant of Edinburgh, and for 10 years he was president of Scottish Army Cadet Forces. When the shamefully underfunded Scots at War Trust was founded by Dr Diana Henderson he was one of its earliest supporters, and during the 1990s when the 50th anniversary of the events of the Second World War were being commemorated he ensured that the surrender at St Valery-en-Caux and the fighting in north-west Europe were not forgotten. His erudition and his personal courage he wore lightly: Derek Lang belonged to that unusual and, alas, fading breed of Scottish soldiers who were at once men of learning and men of action. He was married four times. His first wife, Massy Dawson, died in 1953, leaving a son and a daughter. His second marriage to A L Shields was dissolved in 1969. That same year he married E H Balfour and following her death in 1982 he married Maartje McQueen. Just over four years earlier, on June 12, 1940, the same division had been sacrificed by Prime Minister Winston Churchill when it was forced to surrender to General Erwin Rommel's 7th Panzer Division at the small French channel port. Instead of escaping at Dunkirk with the rest of the British Expeditionary Force, in a needless act of allied solidarity the 51st Highland Division covered the French retreat and fought to the last round. More than 10,000 Scottish soldiers went into enemy captivity; most of them came from their regiments' traditional recruiting grounds in the Highlands. A handful managed to escape, most notably Lang, who was serving as adjutant to the 4th Camerons, a Territorial Army battalion commanded by Lieutenant-Colonel the Earl of Cawdor. Seeing two boats lying offshore Lang attempted to reach them to use their radios to summon help from the Royal Navy but was injured in the attempt - which in any case proved fruitless as the vessels were quickly destroyed by German artillery fire. 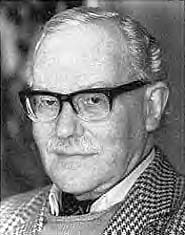 Taken into captivity he managed to escape from imprisonment at Tournai and began a remarkable series of adventures which he later described in his book Return to St Valery: An Escape through Wartime France (1974). In an outstanding feat of endurance and sheer bloody mindedness, Lang made his way into Vichy France and by dint of being sheltered by friendly French families he eventually reached Marseilles. On November 16 he managed to slip on to a French ship bound for Beirut and from there was able to cross the border into British-controlled Palestine. At the beginning of January he was back with the colours, serving in the 2nd Camerons which was based in Egypt as part of the 4th Indian Division. For his exploits Lang was awarded the Military Cross but his war was far from over. That same month the division was sent to Eritrea to expel the Italian forces and Lang saw action with them at the Battle of Keren. The German reinforcement of the Italian army in North Africa took the division back to Egypt in April and although Lang took part in the fighting at the Halfaya Pass he was spared a second surrender by being posted to Staff College. In June 1942 the 2nd Camerons were part of the allied force surrounded at Tobruk and were forced to surrender. Following a series of staff postings in the Middle East Lang returned to England in 1943 to be chief instructor at the Battle Training Wing of the School of Infantry at Warminster and was given command of the 4th Camerons in July 1944. After the liberation of St Valery-en-Caux he was in action again, successfully holding off a German counter-attack at the Nederwert and Zig canals during the advance to the River Maas. For his war service he was awarded the Distinguished Service Order. Derek Boileau Lang was educated at Wellington College and the Royal Military College Sandhurst and was commissioned into the Queen's Own Cameron Highlanders in 1933. The son of a soldier, he was probably destined to join the Army, but he quickly emerged as a promising and efficient regimental officer, seeing active service in Palestine with the 2nd battalion during the Arab Revolt of 1936-1939. Throughout his life he was extremely proud of the fact that he was a Cameron, a tight-knit family regiment, and was saddened by its amalgamation with the Seaforth Highlanders to form the Queen's Own Highlanders in 1961. In the post-war years Lang served variously at the Staff College Camberley and as an instructor at the School of Infantry, where he reinforced his reputation as a thinking man's soldier and a well-respected mentor. In 1958 he was back in Scotland to command 153rd Brigade and was given command of the 51st Highland Division two years later. His career was crowned in 1966 when he was promoted to Lieutenant-General at Scottish Command, a post which brought with it the governorship of Edinburgh Castle. Lang retired from the Army in 1969 but that did not mean a retreat from public life. Far from it: he was a vigorous secretary of the fledgling University of Stirling, he was appointed a Deputy Lieutenant of Edinburgh, and for 10 years he was president of Scottish Army Cadet Forces. When the shamefully underfunded Scots at War Trust was founded by Dr Diana Henderson he was one of its earliest supporters, and during the 1990s when the 50th anniversary of the events of the Second World War were being commemorated he ensured that the surrender at St Valery-en-Caux and the fighting in north-west Europe were not forgotten. His erudition and his personal courage he wore lightly: Derek Lang belonged to that unusual and, alas, fading breed of Scottish soldiers who were at once men of learning and men of action. He was married four times. His first wife, Massy Dawson, died in 1953, leaving a son and a daughter. His second marriage to A L Shields was dissolved in 1969. That same year he married E H Balfour and following her death in 1982 he married Maartje McQueen. Lieutenant-General Sir Derek Lang; born October 7, 1913, died April 7, 2001. I have been contacted by Fred Kennington whose brother, with many others from Berwick who were Territorials in 7th Battalion The Royal Northumberland Fusiliers (RNF), and were captured at St Valéry and spent the rest of the war in Stalag IXC (9C) at Bad Sulza. His brother died in 2001 but some of the Berwick men are still going strong and are in touch with him. He used their stories to research the Saint-Valéry campaign and their subsequent memories of the POW camps. In 2004 he wrote and published the results in "No Cheese After Dinner: With the 51st Division from Normandy to Poland and Back Via Hell 1940-1945 " ISBN-10: 0952649640, which is available from the The Royal Northumberland Fusiliers - The Museum Shop. Lt-Gen Sir Chandos Blair, who died on January 22 aged 91, was the first British Army officer to return home after escaping from a PoW camp during the Second World War; he later became GOC Scottish Command. In June 1940, then a second lieutenant in the 2nd Battalion, Seaforth Highlanders, Blair was taken prisoner when the original 51st (Highland) Division surrendered to Rommel’s 7th Panzer Division at St Valery in northern France. For 14 exhausting days, sleeping in fields and with virtually no food and water, Blair and his fellow Highlanders were forced to march the 220 miles to Hulst in Holland. There he and more than 1,000 Allied officers were packed on to a steamer for a voyage down the Rhine to Wesel in Germany. The final leg was an awful 60-hour train journey in cattle trucks to Laufen in Bavaria, arriving at Oflag VIIC on July 7. An ex-fighting patrol officer, Blair was anxious to escape, and he eventually got his chance in 1941. Absconding from a party working outside the camp, it took him eight nerve-racking days to walk the 75 miles to neutral Switzerland. With money borrowed from the British military attaché at Berne, he acquired a passport, visas and a train ticket to Madrid, where the embassy arranged for his return to Britain. He arrived in January 1942, the first army officer from a PoW camp to make it. He was decorated with the Military Cross. Chandos Blair was born on February 25 1919, the son of Brigadier-General Arthur Blair of the King’s Own Scottish Borderers. Educated at Harrow and Sandhurst, he joined the Seaforth Highlanders as a second lieutenant in 1939. After his escape he was posted to the 7th Battalion, Seaforth Highlanders, part of the 15th (Scottish) Division that saw action for the first time during the Normandy invasion in June 1944. By then a major, Blair took temporary command of the battalion on June 29 when the CO and his deputy were wounded during a fierce counter-attack by SS tanks and infantry near Le Valtru. He again distinguished himself a month later when he was wounded helping to repel another heavy counter-attack. For his gallantry he was awarded a bar to his MC. Like so many of his age group in Nairn my Dad Pte. James (Pongo) Forbes Adams joined the Territorial Army prior to the War. As he was a drummer he ended up in the 4th Battalion The Cameron Highlanders Pipe Band. After Dunkirk the 4th Battalion The Cameron Highlanders, part of the 51st Highland Division, 152nd Brigade along with the 153rd and 154th Brigades were given the task of slowing down the German advance on the Atlantic Ports. 154th Brigade was detached to form "Arkforce" and was able to escape the German drive into central France and Normandy, however, the 152nd and 153rd Brigades, including the 51st (Highland) Division surrendered to Rommel’s 7th Panzer Division on the 12 June 1940. It was not surprising the 51st were captured at St. Valéry-en–Caux, as Dad put it he might as well have had a peashooter for all the good his rifle was. They somehow managed to fend of the Germans and Rommel for a while, but as each in the Platoons only had a rifle, and most Platoons only had one Anti-Tank Grenade and one clip of ammo the outcome was pretty clear. He managed to escape in Holland, but was recaptured after an hour. On reaching the German border they had to suffer 5 weeks on board a cattle train to Poland (East Prussia), because of their trains low priority and constant air raids by the RAF. He was a POW Stalag XXB, but after attempting to escape he was sent to Stalag XXA (Fort 13 Thorn). Marienberg. Sadly Dad passed away in 1992, but he did manage to return to St. Valéry for the reunion in 1991 where he met up with some of his comrades. There was a photo on the Wartime Memories Stalag XXB web page, but they appear to be having problems with their site. It was captioned "Photos of my father Kenneth Herbert Warner of the Buffs (marked with blue dot) and other prisoners at Stalag XXB". My Dad is standing at the end of the row next to Kenneth Warner. Dad did attempt escape twice, once in Holland on the long march to Germany, and I believe the other time was when he was at Stalag XXA (Fort 13). He ended up at Stalag XXB. It was hard to get him to talk about his experiences. As a child, I can vividly remember him waking up screaming as a result of the nightmares (right up until the early 60's). He once let his guard down and told me how one night he awoke thinking he was dying as he was completely soaked in blood. Sadly it was the chap in the bunk above him who had taken his own life. The more I research the more I realise that God was indeed looking after my Dad, as being in Stalag XXA at Thorn he avoided the Stalag XXB death march back to Germany. Photograph at Camp prior to outbreak of hostilities; letter advising missing in action. 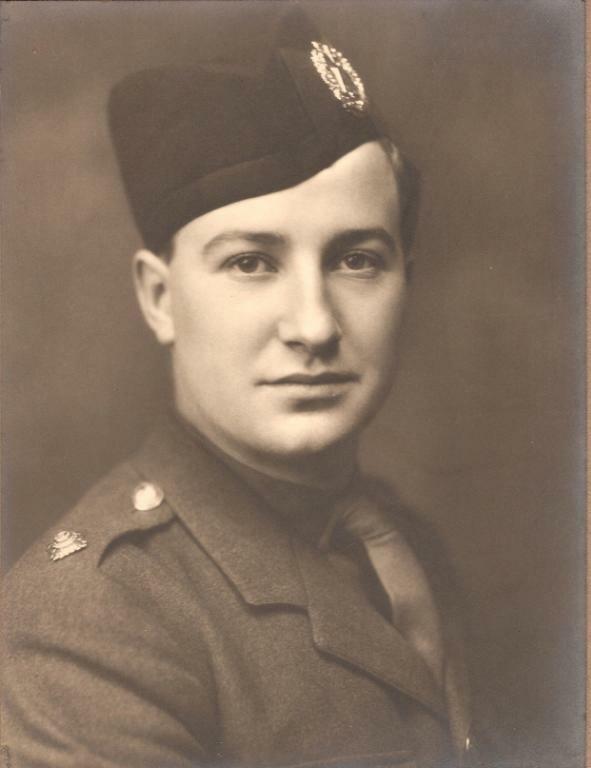 Craig Esson is looking for information about his grandfather William (Bill) Esson, a Warrant Officer in the 51st Highland Division during WWII, and captured at St. Valery in 1940 after the surrender , France. His kilt is thought to be in a museum somewhere near St. Valery, as he left it in a cave while evading capture. Does anyone have information about which museum the kilt may be in? See also "Scots at War"